‘Life is Like That’ by Eric Griffiths & Others! ‘Life is Like That’ has a significant role within the MDC production chronology, in that it is the only play that was written by a member of the Markhouse School staff – despite so many of them being involved in so many other ways (including a fair amount on stage) over the 20 odd years of the MDC’s existence. The ‘main’ author and person ‘responsible’ was Eric Griffiths with, as the programme notes confirm, the further ‘interpolation, interpretation and mutilation’ of the script, by Chris Smith – and inevitably Cyril himself – plus, no doubt, the recommendations and views of the other ‘non involved’ and ‘spectating’ staff during the ‘upstairs’ staff room tea breaks! 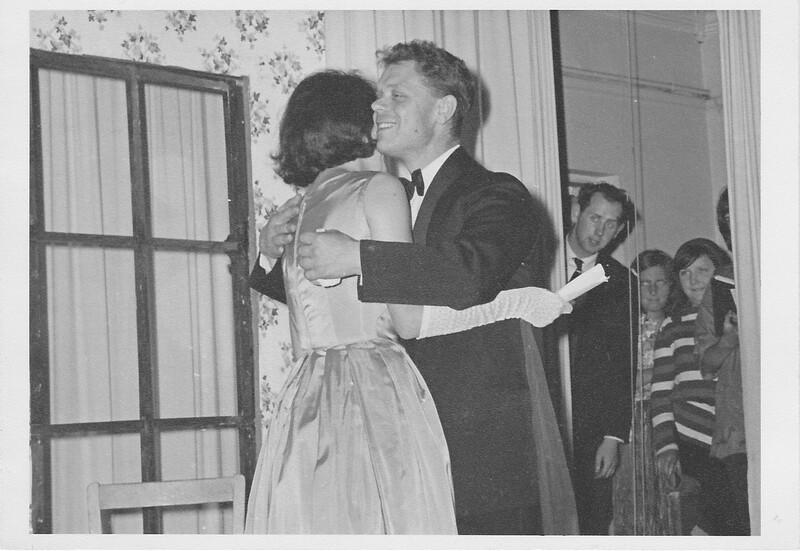 However – the more important role is that this play, perhaps more than any other, shows the close links that were developed between the school, its staff, the current pupils and those who had left but had continued as members of the Drama Club – who, between them, comprised the cast and crew of this truly joint ‘Markhouse’ production. It is really gratifying that a crumpled copy of the programme has finally emerged from its attic resting place of the past 52 years. 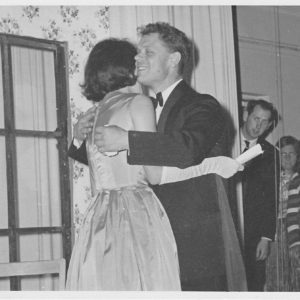 As the programme editor’s notes show, the subtitle was ‘Christmas Revels 1964’ – so this not only dates the play itself, but in so doing also solves the outstanding question of when the long run of traditional pantomimes began – which was clearly the year after with the production ‘Babes in the Woods’. Besides the programme, the following photograph is the only other piece of memorabilia that has been found of ‘Life is Like That’ – although it is hoped that the future research of the Walthamstow Guardian archives may reveal at least a written report and, perhaps, a further photograph!